We know that containers are supposed to make application portability a realistic outcome. And we've certainly heard plenty about the advantages of cloud computing. But what do we know about blending container and cloud strategies? 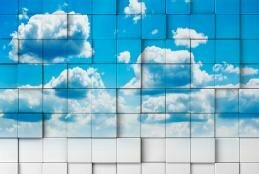 Can containerized applications really move smoothly between cloud environments? It would be great if using containers in conjunction with a cloud strategy made all of those app portability dreams come true. But it's not quite that easy. Application containers, for starters, are intended to be disposable and stateless -- two things most applications are not. Container management is not simple. And, as should be expected, security is a concern. But there are reasons an organization would consider how containers enable app portability while also benefiting from the many advantages of cloud computing. Containers can assist with portability -- under the right conditions. It's a fine line IT teams need to walk, and that's the subject of cloud expert David Linthicum's featured article in this handbook. The advantages of cloud computing are unmistakable. And containerization can certainly boost app portability. To fit all of that into a cohesive -- and workable -- IT strategy will demand a plan. So, let's get to it.